In this piece from Mountaineer magazine, Mountaineers Youth Education Manager Andy Bassett reflects on the Mountaineers Adventure Club, his foray into climbing, and the confidence and personal growth he sees in our MAC youth. I started climbing about twelve years ago, in the mountains of North Carolina in my mid-20s. Climbing did not come naturally to me, and I still constantly fight the cognitive dissonance of wanting to ascend higher and master moves while facing a petrifying fear of heights. Through the years I have experimented with ways to manage this fear, which has made room for this activity to make a positive impact on my life. I’ve used climbing as a vehicle for travel and exploration. My closest friends are those who’ve tied into a rope with me. And climbing is the activity I most enjoy teaching to new and aspiring Mountaineers. I was reflecting back on my early climbing years recently when I found myself at the first ledge – midway up a 400ft climb – belaying the leader. Keely was on the sharp end of the rope. She’s on a competition climbing team, has the lead head to manage the runout between bolts, and is an incredibly safe and competent climber. Keely is also the newly elected President of the Mountaineers Adventure Club (MAC), and is starting her senior year in high school this coming fall. Our climb was a small part of the big annual climbing trip that MAC makes each summer. This year’s destination: Squamish, British Columbia. 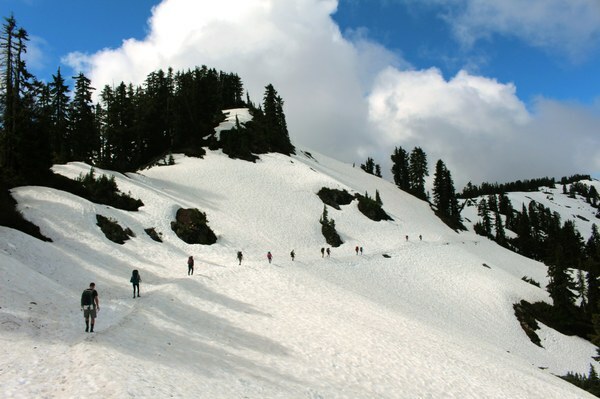 MAC students make their way towards the Elfin Lakes in Garibaldi Provincial Park in Squamish, BC. Photo by MAC Alum Katy Snyder. The Mountaineers Adventure Club is the final of three club experiences we offer for youth Mountaineers’ members. These different youth clubs are separated by age group, Pioneers: ages 7-9, Explorers: ages 10-13, and MAC: ages 14-18. Each group focuses on specific, age-appropriate skill development, with input and participation from families of the club members. Beginning with Pioneers, participants and their parents enroll in programs to start laying the foundation for a variety of outdoor experiences. From day hikes to local waterfalls, to climbing at Mount Erie and learning to build igloos, our Pioneers students and parents get a great introduction to the outdoors and the many activities available in the Pacific Northwest. Once participants reach age 10 they can enroll in our Explorers Club. Here, students and parents continue to build upon the skills they learned as Pioneers. Explorers grow their outdoor community while learning more complex outdoor technical skills and responsibilities. It’s not uncommon for Explorers to begin learning the intricacies of lead climbing or belaying, act as a hike leader for a day trip, and begin taking on the responsibility of meal prep and cooking. Both Pioneers and Explorers meet on a monthly basis to discuss monthly trips and practice technical outdoor skills. 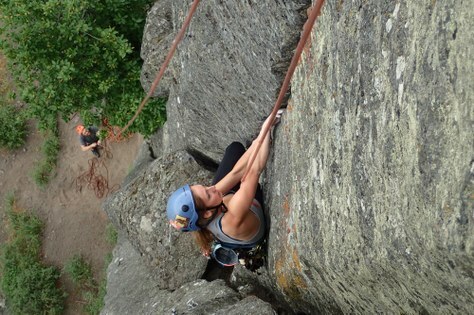 Chances are, if you visit the Seattle or Tacoma Program Centers on a weekday, you will see young Mountaineers ascending fixed lines with the aid of friction hitches or learning to clean sport routes and rappel. With the assistance of dedicated volunteers, students also learn how to read topographic maps and cook nutritious backcountry meals. Once students turn 14, they can participate in MAC, where youth take a more direct role in planning and implementing the different activities, skills, and programs. MAC members elect a leadership team each summer to manage and organize the group. Students in MAC continue their development in outdoor skills while also developing more complex and vital leadership skills. MAC students learn to climb by practicing multi-pitch skills on the ground, then vertically on the climbing walls at our program centers, and eventually they progress to real rock on a field trip. With direct mentorship from experienced volunteer climb leaders, our senior members of MAC step up to walk younger members through the nuances of technical outdoor skills. I find myself also looking at these students with reflection. They seem so much more comfortable with themselves than I did when I was at their age. They’re mastering technical skills I didn’t learn until my mid-20s and developing valuable life skills through experience. Getting outside is about more than just climbing. These young adults are learning how to communicate and deal with fear and discomfort, while practicing the careful art of minimal impact recreation. They’re trying new things, learning to be okay with failure, and embracing it all as a part of the growing process. They are grasping the importance of working as a team and being kind to one another. They are becoming compassionate, thoughtful human beings in a dynamic, quickly-changing world. Working with the younger members of our organization reminds me that we are going to be okay. MAC students and volunteer climb leaders find a break in the clouds on the summit of Mount St. Helens. Photo courtesy of The Mountaineers. At this point in the summer, students in MAC have a solid foundation of technical skills and the opportunity to demonstrate competency in real scenarios. So here I stand some 400ft up belaying Keely through the crux pitch in Squamish. She’s calm. She’s methodical. She’s competent. It’s amazing to share a rope and this climb with her. Separated by 200 feet of nylon, you share some of the most powerful emotions when you’re tied in with someone else. You also bond over beautiful sights and an incredible shared experience of triumph or failure. 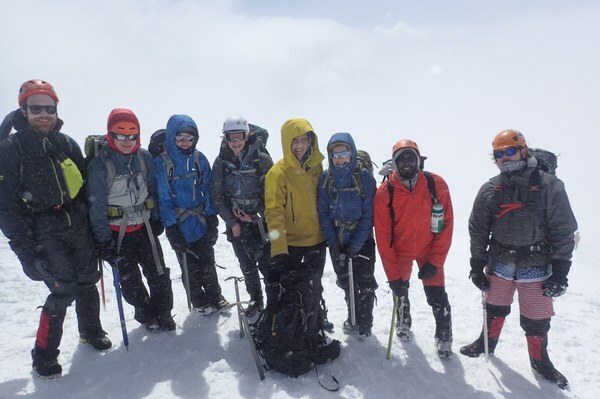 Nick will continue to build his climbing and leadership skills in two NOLS Semester Programs this coming year, and all of us at The Mountaineers are extremely proud of him, and the entire Rainier summit team. Climbing, camping, and skiing, along with countless other outdoor activities, changed the trajectory of my life – just as they will for these students. These pursuits are more than hobbies - these are ways of life. Their stoke for the outdoors just be starting a little earlier in life than for people like me, but rest assured they are honing these skills and becoming the next great adventurers of the Pacific Northwest. The Mountaineers offers year round outdoor youth clubs for participants ages 7 - 18, currently at our Seattle and Tacoma branches. We will be accepting applications for this upcoming year towards the end of summer with our season starting in October. For more information on Mountaineers Youth Programs, please visit our website: www.mountaineers.org/youth or contact Andy Bassett andyb@mountaineers.org. This article originally appeared in our Fall 2018 issue of Mountaineer Magazine. To view the original article in magazine form and read more stories from our publication, click here.